Our well-equipped workshop is manned by Cytech-qualified mechanics and is the place where great things happen. New bikes are brought into the world, feeble bikes made strong once more and miracles worked with all sorts of previously unfixable disasters! We can work on any bicycle regardless of age, type or origin. 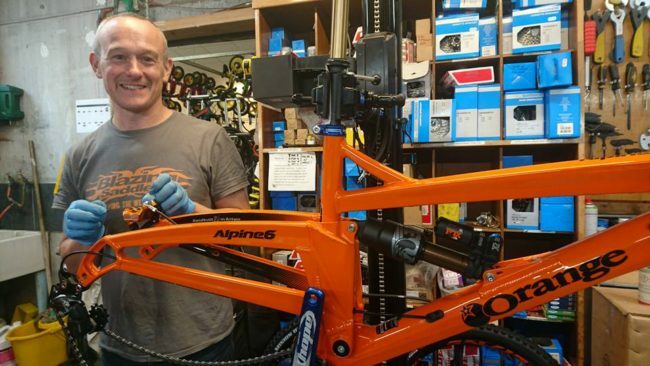 We’ve worked on tandems, handcycles and unicycles; downhill bikes that have everything but the engine attached; top class road and XC race bikes that went on to carry the owners to the top of their class. Nothing makes us happier than seeing a bike we’ve brought back from the dead in regular use on the roads or trails around Hebden Bridge, so if you see someone that you can’t quite place grinnning inanely at you from behind their own handlebars, then it’s probably one of the mechanics on a test ride taking pride in their work. The workshop is a hive of activity and we operate a booking system to make sure that repairs are turned around swiftly. At busy periods we can get booked up several weeks in advance so please leave plenty of time to get your bike ready for its holiday, race or special trip in order to avoid disappointment. 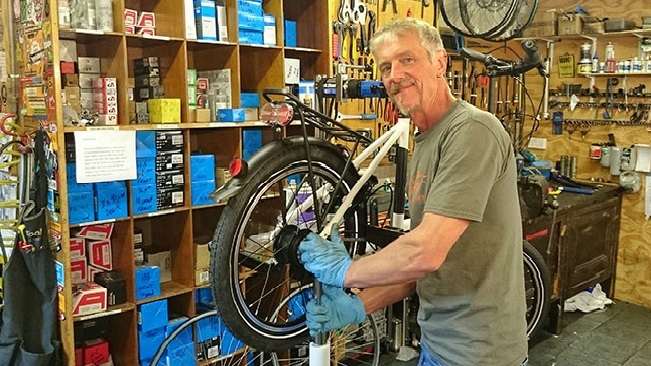 When you drop your bike off for repair, one of the workshop staff will check it over and give an immediate assessment of the parts required and probable cost. We will then keep you informed of progress as the job goes along with regular phone calls where necessary and are happy to advise on the most economical solution to any problems we may encounter. 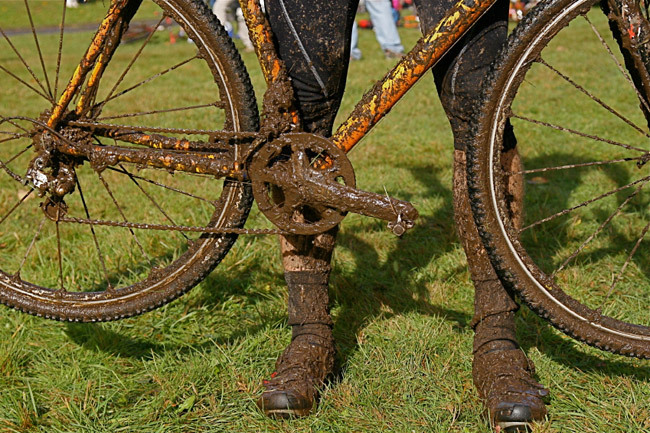 An important note about dirty bikes: we don’t like working on them! Grubby bikes mean that dirt (and worse) gets on the workshop floor, on our hands and into our tea. If you bring in a repair bike that’s still sporting the aftermath of your last ride, please don’t be surprised when you are politely but firmly pointed towards the free bikewash facilities at the back of the shop! Alternatively a cleaning charge will be applied to your repair bill.